There’s a weird disconnect when I watch kids adventure films like Goonies or series like Stranger Things. If I was in either of those situations I would be the worst team member, a toxic mix of being lazy and a coward. Now in my 30’s I can’t pretend much has changed, but I can at least say I’m more honest about it. My point is that in these awful situations the are children in I would be pointless, it turns out that if we simulate that in 2019 with new Steam Early Access release The Blackout Club then we can 100% confirm this to be the case. The Blackout Club is an Early Access up to 4 player, co-op, objective based, FPS, stealth ‘em, up puzzle game. 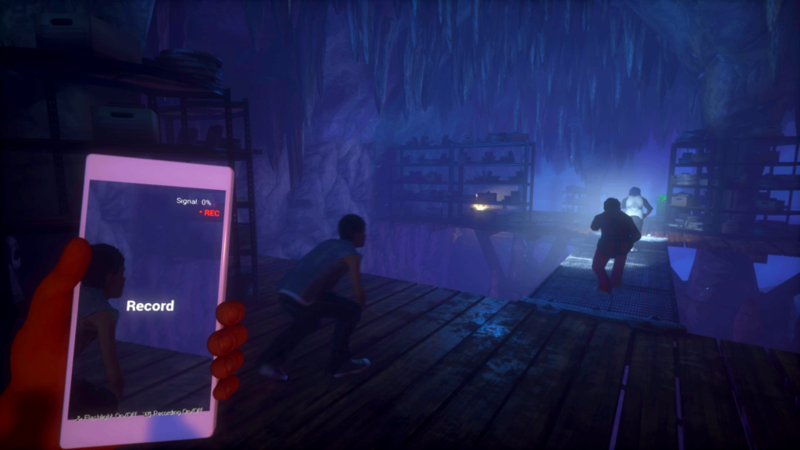 The game starts with a single player prologue to get you into the world of The Blackout Club. Through some really well performed voice acting the stage is set. You and other children are falling asleep at night and waking up somewhere else, like outdoors or even on some railway tracks. The adults don’t believe the kids so you take it upon yourself to record some evidence and take it outside of the town’s lockdown on internet and phones. You are home alone when a video call from your parents explain they’re going to be late, it’s at this point the seeds start getting sown for a really fun kids vs adults / invasion of the body snatchers style story. With small objectives you’ll be taught the basic controls including the eye closing mechanic. Holding Z will cause the world to turn red like you’re watching through your eye lids, this highlights the optimum route to the next objective and also highlights the location of the most feared enemy, The Shape. 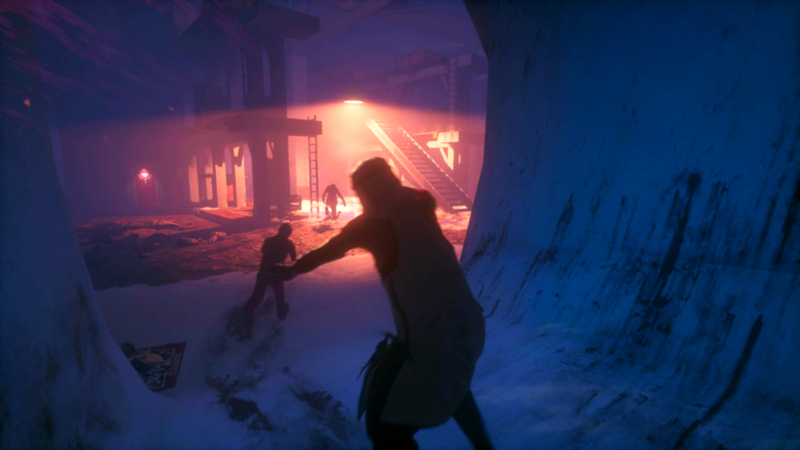 The prologue plays out teaching you the basics of what items do and how to traverse an area quietly and in the dark to avoid the attention of the various enemies in the game. Your most common enemy will be the sleep walking parents who are blind and react to sound, if they grab you then you can quickly use one of your items you’ve brought or found, like a taser or a tranq dart. Alternatively you can pre-empt issues by jumping on the backs of enemies and tackling them to the ground. Once you’ve done the first couple of missions you’ll find you’re encouraged to go underground more and more. Down here in this painfully complicated labyrinth you’ll find more cult like figures with new abilities like the Lucid who can see meaning the player needs to stick to the shadows. It’s also underground that you’ll realise how quickly you’re out of your depth. With each level progression new enemies and elements are added to the world and rarely are they explained, trial and error are your only way to know for sure what the buzzy robot ball on the floor is and what triggers it. Normally this would be fine but as I said this is a 4 player co-op game, when one person screws up this can very quickly lead to the house of cards collapsing and turning into a total party wipe. If you cause too much chaos in the world you essentially build a wanted level that leads to The Shape coming after you, you can only see the shape with your eyes closed and he has shortcut doors around the world. In all the time I played The Blackout Club I rarely felt like I knew what to do when the shape was coming, running works well, and being an arse and leading the shape to other people on your party also played out pretty well, but much like with a lot of the mechanics in The Blackout Club I can’t say I’m 100% sure I understand. Thankfully for the my first 4 hours in the world I ended up joining a game with some random American player, then some incredibly hyperactive (but also high level) American 10 year old and then finally a brit with the mouth of a sailor. All on microphones, all talking tactics. On one hand having a party of experienced people made the game a lot clearer in some regards, I understood where to take the glowing head I nicked from a garage and then where to take the cryptographs I stole from the underground base below the town, but I still didn’t know why sometimes I would get caught, or how the wanted system works or when it’s ok to trip the cameras and when it’s not. All of these may be high level elements, or they could be day one tactics, but having only had the prologue for training I can’t be sure one way or the other. And this is The Blackout Club’s only real flaw at this point in it’s development, loading screen tool tips aren’t a replacement for a fair difficulty curb. Once the prologue was finished the first mission was relatively easy, but had numerous requirements that weren’t mentioned previously (like door kicking/lock picks/open windows to access houses). Once the first mission was over online play was only producing epic missions for my level 3 character. All of the presentation of The Blackout Club should be praised, the world is stylised and has a quirky charm to its design without falling into surrealist traps of wacky sloped doorways. The enemy models all have elements to instil unease in the player as they walk inches past you as you cling to a shadow desperate to not be caught. Audio queues from the other characters are a wonderful touch indicating dangers you may have missed. The world, despite being a bit silly in reality feels very real and just grounded enough to be wonderfully immersive. As you progress through the random missions you’ll find yourself levelling up, as well as being rewarded with awesome new clothes for your character and dances! 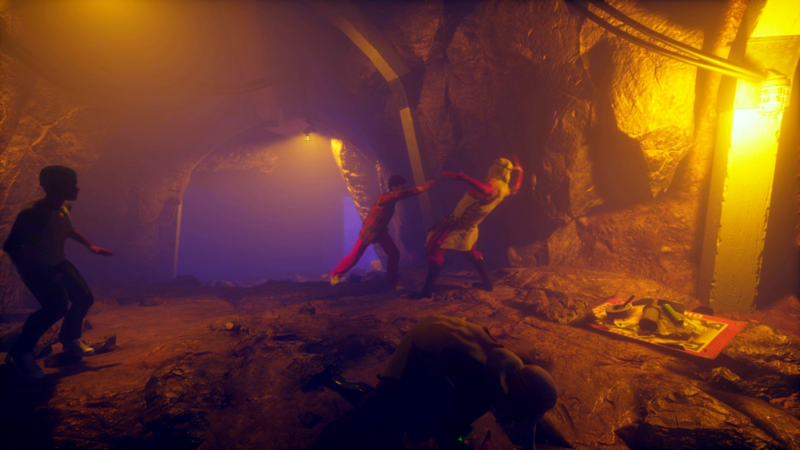 Points from levelling can be spent on Minor or Major Powers, ranging from things like taking a lock pick into the start of the game to having a drone that can make sounds to distract enemies. On top of that you can choose an initial item to take in on each run, a grappling hook, a taser and a crossbow all being available. In all my time playing online I didn’t actually come across anyone with the same build as me, or even using the same clothes and character model combination as me. This did wonders for the feeling of immersion, the idea that each run is with different members of this child led club with the goal of proving the towns been taken over and sabotaging the enemies operation. The Blackout Club has a couple of rough edges as you would expect from an Early Access game, the font is somewhat default, the hit box detection seems a bit off and the difficulty curve is brutal. But if you’re lucky enough to find someone to hold your hand, like I did with my American brother BloodyRag, then you’ll find this to be a really rewarding, and at times quite scary, game. It doesn’t hold your hand, it wants to make you jump out of your skin with enemies appearing from what seems like no-where and the visuals of The Shape who you can only see with your eyes closed, all come together to produce a really affecting game. This will live or die with its audience retention, if a player ever struggles to find a party to join then that’s it, but whilst it still has a world of potential and not a huge distance to go before what feels like could be a full release it’s easy to recommend The Blackout Club, just make sure you’re not in a party with me as I’ll definitely scream “Wildcard” and jump on every sleepwalker’s back.